PBS President and CEO Paula A. Kerger announced at the PBS portion of the Television Critics Association Press Tour that PBS, with National Geographic as its international broadcast partner, has commissioned a new six-part science series. GENIUS BY STEPHEN HAWKING, from production company Bigger Bang, will be presented and narrated by renowned theoretical physicist Prof. Stephen Hawking (watch a preview here). In each episode, a different group of ordinary people will be challenged to think like the greatest scientific minds in history in order to solve some of humanity’s most enduring questions. GENIUS will air on PBS in the U.S. Wednesdays, May 18-June 1, 2016, 8:00 - 10:00 p.m. ET, and internationally on National Geographic Channel. “With its premise of proving that ‘ordinary’ people can grasp how history’s greatest scientific discoveries came about, GENIUS is directly aligned with what we hope to achieve through all of our programming – inspiring audiences to explore the world around them,” said Beth Hoppe, Chief Programming Executive and General Manager, General Audience Programming, PBS. Through the use of large-scale experiments and remarkable demonstrations, the program decodes the mysteries of evolutionary biology, astrophysics and quantum mechanics, solving questions like “Why am I here?,” “Are we alone?” and “Can we travel through time?” Each episode features three people with curious minds who must use their own intellect to learn what humanity’s most notable thinkers have discovered about the greatest scientific mysteries over the centuries. GENIUS takes its participants (and viewers at home) back in time – to ancient Greece, where Eratosthenes calculated the Earth’s circumference – and to more recent history and such thinkers as Edward Hubble, who uncovered and established the distances between our planet and the vast galaxies throughout the universe. Premieres Wednesday, May 18, 2016, 9:00-10:00 p.m. ET. Premieres Wednesday, May 18, 2016, 10:00-11:00 p.m. ET. Premieres Wednesday, May 25, 2016, 10:00-11:00 p.m. ET. Premieres Wednesday, June 1, 2016, 9:00-10:00 p.m. ET. Premieres Wednesday, June 1, 2016, 10:00-11:00 p.m. ET. To find out what it’s like to be a genius, a program website on PBS.org will be available closer to premiere. Audiences will be able to learn more about each episode, meet the experts, explore each challenge through slideshows, watch clips and follow the social conversation with #HawkingGeniusPBS. Viewers will also be encouraged to participate in an exciting social media campaign surrounding the premiere of GENIUS. Audiences will be asked to give their answers to the big questions in life across a variety of social media platforms. They will also be able to engage with an exciting number of clips and graphics rolling out on PBS social media platforms before the program airs. 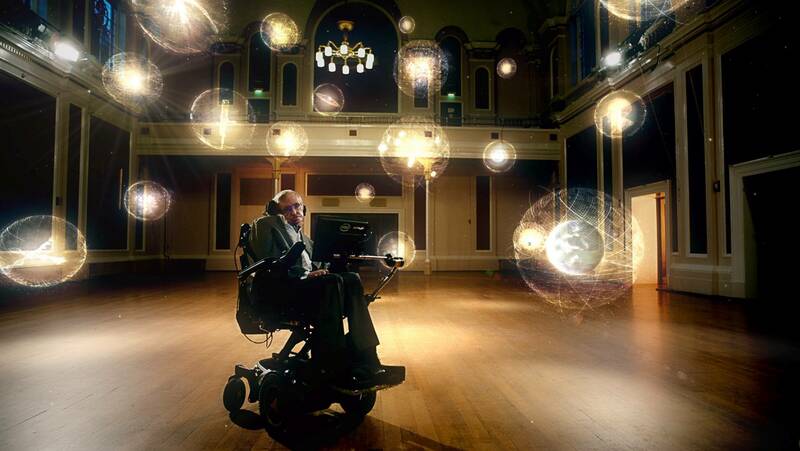 GENIUS BY STEPHEN HAWKING is produced by Bigger Bang, which also produced the science films “Hubble’s Cosmic Journey” and “Mission Pluto” for PBS and National Geographic Channels International. Bigger Bang’s Ben Bowie and Iain Riddick serve as the series’ executive producers.